Posted on April 8, 2011 by mike b. Check this out. Last month, I received a sample from the lovely @Jillzworth via e-mail. The only rule was to make a 2 minute beat using the sample provided… a rule I, of course, misunderstood (which will become apparent as you listen to the other entries). I ended up creating an entire beat out of sounds derived from the sample ONLY, while the rest of the producers involved incorporated other sounds into their beats. Sooooooo, my beat definitely scores points for degree of difficulty, but I really could have expanded the sound a lot had I understood what I could and could not do. 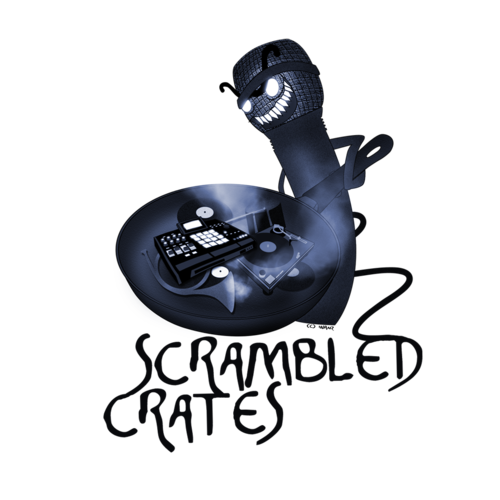 There’s always Scrambled Crates #7 (coming soon)! I like my beat more and more considering the unnecessary restrictions I placed on myself. It kind of sounds like a hippie made a beat… which is, I’m sure, a total surprise! You can check out the other 19 producers take on this task right HERE. There is some pretty amazing stuff! This entry was posted in good tunes, mike b. by mike b.. Bookmark the permalink.